If you have ever taken that deep and revitalizing swim, your experience can only tell better on how stimulating and cool that can be. Now, have you ever experienced inground pool cleaning issues? Then what comes to your mind is how to get that sorted out fast and in the finest way, to leave you pool clean. For most of us, hygiene comes first, and a clean pool is a compliment to that. There are three types of pool cleaners, namely; pressure pool cleaners, suction pool cleaners and robotic pool cleaners. The most advanced, with unique features that are tailored for diverse consumer unique tastes and preferences is the robotic cleaner. 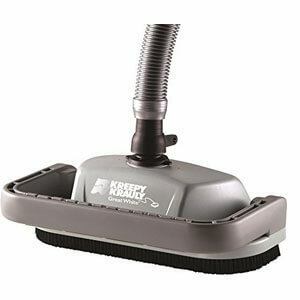 They are easy to use and are automatically programmed with top notch cleaning capabilities. 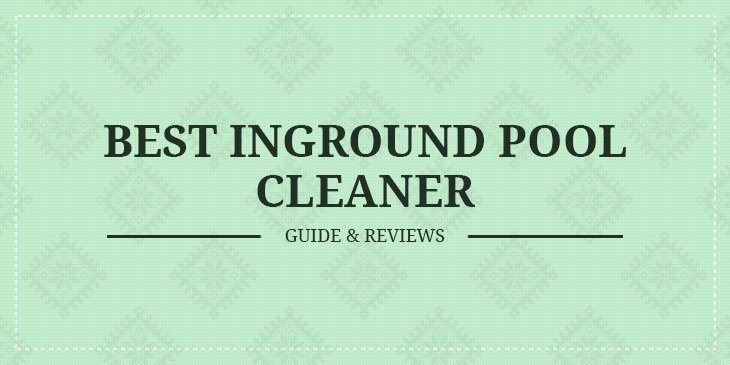 You don't have to worry anymore because, in this review, I prepare and make it easier for you, to save your time in identifying the best inground pool cleaner for your needs. You will find inground pool cleaners great in sorting out your unwanted pool algae, debris, and vacuum dirt from your pool walls and floor, saving your time effortlessly to any specific pool location. But it is also prudent to take into consideration some of these factors before getting your best inground pool cleaner. You don't need that too heavy automated cleaner with a huge motor, this would be cumbersome for you to move it around to your specific areas of interest during your cleaning. Get a lighter one for fast and time-saving cleaning needs. This would make it easier for you to store it as well. Consider getting along a cleaner caddy for its easier mobility. Filtration of your cleaner involves the ability of your cleaner to not only clean with speed but also the number of gallons of water it can be able to filter in an hour. Commonly filtration is indicated as gallons per hour (GPH). Check out the cleaner with the highest value of GPH for fast filtration speed and capability of containing the debris. If your pool is larger, consider getting cleaners with a larger GPH. Check out whether your automated inground pool cleaner has a filter cartridge or a filter bag. The filter cartridge can be disposed or replaced especially when the filter experiences some blockages by those unwanted debris or general dirt. Filters should be left clean before starting out your next cleaning for that stylish cleaning performance. The filter bag is washable but not necessarily need to be replaced. Check whether your machine has a high cleaning cycle. This is the time your inground pool cleaner can continue to run before automatically shutting off. After this, you have to manually turn it on again; the programmable cycle is the best as it allows you to tailor timing to your specifications. Some inground automated pool cleaners work well under given specifications, this would imply, you are bound to get the best performance for your cleaning needs at the specification. If you have a larger pool, consider getting cleaners with a cord suitable for it to be able to reach every corner of your pool. Take into account, the ability of the frequency to use your cleaner. This means your cleaner internal filtration system frequency in filtering pool water and gathers that unwanted materials. If you most often use you cleaner, you will need to replace your filter bag or cartridge regularly. Get the well-supplied cleaner with replacement parts. Check out the warranty offered for your machine, just in case you need that extra fix after you buy your cleaner. Given so many brands in the market all claiming to provide the ultimate inground pool cleaning services, some fail to live up to the expectation. The pool cleaners come with not just only the best modern pool cleaning automation but also the fast and top notch cleaning that will leave investment worth it after all. 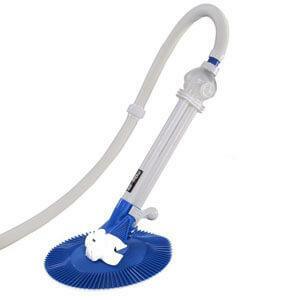 This model is high quality for you inground pool cleaning needs. You don't have to worry how best it can pick the dirt too irrespective of where it is in your pool. Expect the most satisfying experience with this model. This is an absolute automated pool cleaner. It is multi-functional too. The Fashion Automatic Inground Above Ground Swimming Pool Cleaner comes with maximum suction power that enables it to pick any dirt including bugs, gravels, and even stems. To maintain it, you don't have to struggle to open it. This credited to its Vacuum Hose accompanied with 12 sections; this means you don't need any more tools to do its maintenance. You need no power supply to your existing filtration system for it to keep running, this is a suitable quality especially when handling pool cleaning. It comes with a strong performance rating, thanks to its advanced technologically designed functions. Whether it is, you pool floor or wall expect the efficiency of cleaning dedicated to your satisfaction. It will absorb the dirt and debris away from the pool, courtesy of its best suction capability. This inground pool cleaner comes with the most economical budget, more especially when it comes to the chemicals you need to do your clean-up. Irrespective of your pool size and shape, expect the Aqua Products Mamba Automatic Pool Cleaner to live up to its promise. Use less power consumption too with this automated inground pool cleaner. The less chemicals you need to carry out your pool cleaning in the shortest of the time the better. This perfectly suited inground pool cleaner comes in handy and will leave your pool water sparkling clean for your healthier swimming needs. 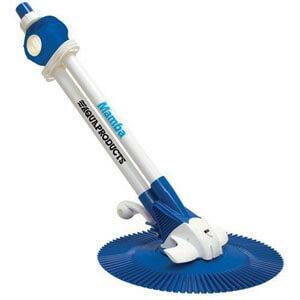 The Mamba suction pool cleaner is dedicated for any pool size and shape. It also suits well even small-sized inground pools. You will find it appropriate for the vinyl, tile, fiberglass and also gunite wall and floor surfaces. The dual suction system compliments your pump enabling the filter always supplied with enough water for that long-lasting effect. Through your filter pump, you can effortlessly connect the skimmer vacuum plate to brush and vacuum your inground pool floor and walls. 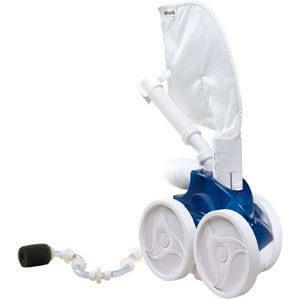 It comes with a 32-foot hose and a flow regulator to facilitate easy movement around your pool while doing your cleaning and control how your motion conveniently with the machine responds to areas that need to be cleaned. This is one of my favorite automated pool cleaners, designed to bring you that ultimate cleaning experience. You are likely to spend less in its maintenance too in the long run while getting the best of its functionality. This one quite cleaner that does its job almost unnoticed. The BARACUDA G3 W03000 Automatic Pool Cleaner will effortlessly pick those small and middle-sized debris for your maximum pool cleaning of your walls and floor. It brings along one of the most powerful suction cleaners that is purely dedicated to work in low-speed while sustaining maximum cleaning efficiency. It is compatible with any single, 2-speed or variable-speed pumps for that efficient cleaning and less use of water. It comes with a suction accompanied with a flow keeper to offer you skimming from just a click of the button for water flow regulation and peak performance. This is still achievable even when using low horsepower pumps. This model will clean your inground pool floor and walls, automatically removing the dirt, debris, bugs, branches, leaves, sand including pebbles. It comes with an operational moving part- the long-life diaphragm for simplicity of operation. Maximize the power and a cheaper cost because it has no gears, wheels, and flapper, thanks to its reliable long-life diaphragm and one-moving-part-technology. Further regulation of water flow is made easier courtesy of its compact and self-adjusting Flow Control Valve Automatically. This cleaner is intelligently designed to increase adhesion to pool surface and eliminate chances of having to hung-up on lights, drain covers, fittings, and other pool aspects. Its wheel deflector assists easy movement around those tight pool corners. It comes too with a scuff resistant long life horses to eliminate those unnecessary scuffs. It is easy to maintain and install too. This one of the best pool cleaners that have always lived to exhibit the best engineering can offer when it comes to inground pool cleaning experience. It remains one of the most advanced pressure-side automated pool cleaners too. It features all-wheel drive with the technology powered by triple jets. It works in all inground pools without a separate booster pump for the ultimate energy efficiency. This is highly credited to its VAC-Sweep 360 pressure side pool cleaners' advanced modern technology. You can easily connect to a dedicated pressure line and sweeps, scrubs and vacuums in all the surfaces if your pool for an all-round cleaning experience. It has a unique filter bag that can remove debris before reaching the pump basket or filter. This brings about that long-lasting effect of your filtration system. The filter bag in the pressure cleaner has one chamber that can contain the debris, leaves, and shingles. Its in-line backup valve automatically releases itself in a 360 motion if it gets stuck leaving your pool cleaning progressive. It is a construction that displays reliability is used, you can time your cleaning thanks to its programmability. It comes too with a 31 feet hose for smooth mobility. You can easily call it the dirt's enemy, the Pentair GW9500 Kreepy Krauly Great White Inground Pool Cleaner is one of my incredibly highly rated inground pool cleaners. 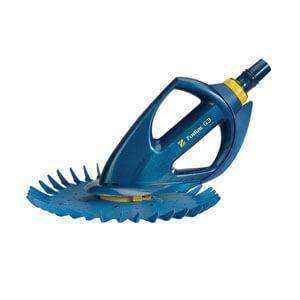 If you need innovative performance, this pool cleaner perfectly is the right one for you. It is uniquely designed with a bristle drive and an oscillating vortex design dedicated to effectively do away with scrubs and vacuum those large and even small debris. It comes with an advanced 360-degree turning mechanism that propels to achieve the best self-release capability from those areas that it might get stuck while navigating for maximum cleaning needs in the pool floors and walls. It is in itself an automatic in-ground pool cleaner able to clean gunite, fiberglass, vinyl and other specialty surfaces in a 15-inch path. It also comes with a vacuum port door fitting with a spring-loaded cover for safety. It is very easy to use and maintain for that maximum performance. Its advanced programmability makes it easier for you to do cleaning at your comfort zone. If swimming in a clean and tidy water base is your priority, then you stand the best chance with any of these brands to get the most refreshing and rejuvenating experience after cleaning an in-ground pool with these models. Be keen to maintain proper storage and dedicated maintenance for a long-lasting service from your pool cleaner. Understand too user manual for better-informed usage while going about you cleaning needs. Check out too those pool cleaners with warranty, just in case your machine develops in-built attention, the longer the warranty, the better. You can't go astray with any of these brands if quality performance is your what you desire. Product reviewer & passionate blogger. Beside writing for this blog, I spend my time crafting research based contents for HuffingtonPost, Lifehacker & Forbes!